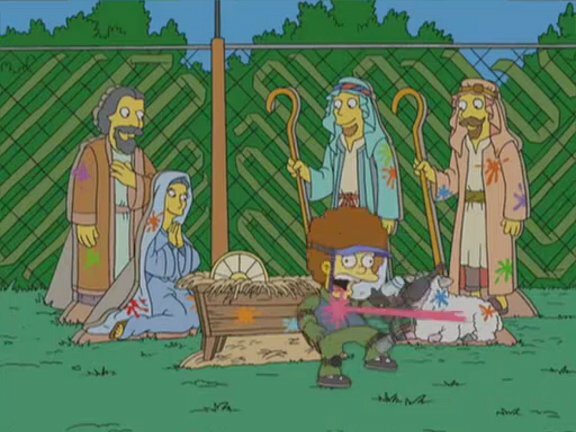 The Simpsons episode "The Father, the Son, and the Holy Guest Star" (season 16, episode 21) has Bart playing a game of religion-themed paintball. 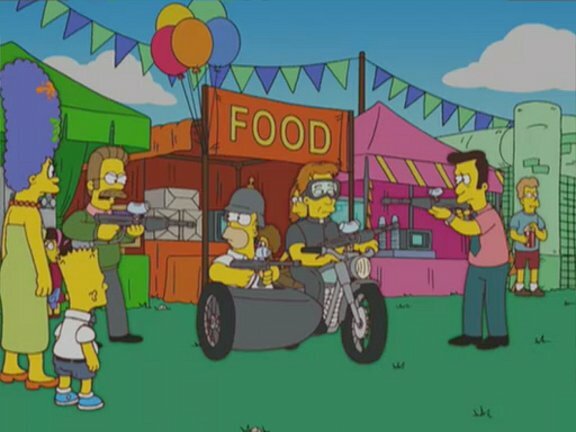 While at a Protestant Youth Fair, Bart (voiced by Nancy Cartwright) spots a paintball field and rushes off to play. 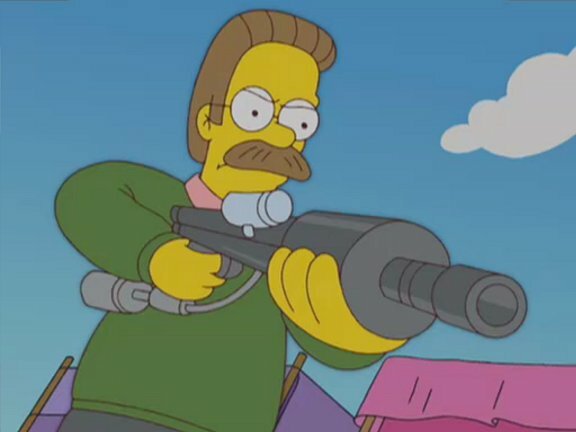 resemble a Tippmann Model 98, though with an A5 style hopper. 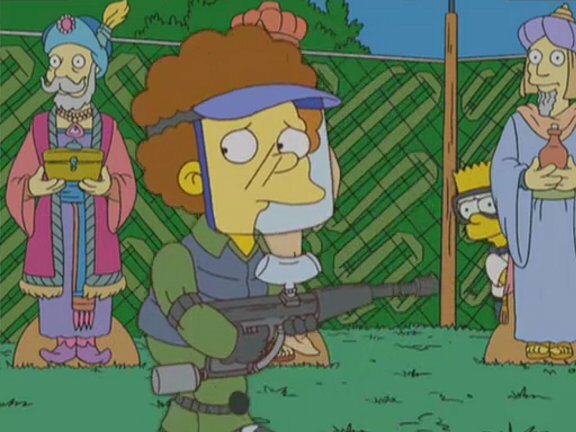 Todd (or possibly Rod) wanders about looking for Bart. 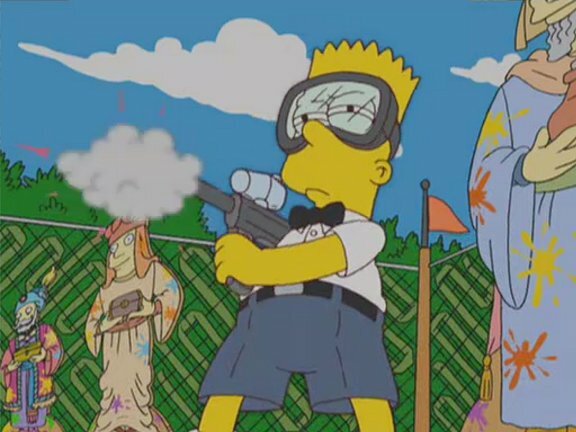 Bart springs out and shoots Rod (or possibly Todd) several times. 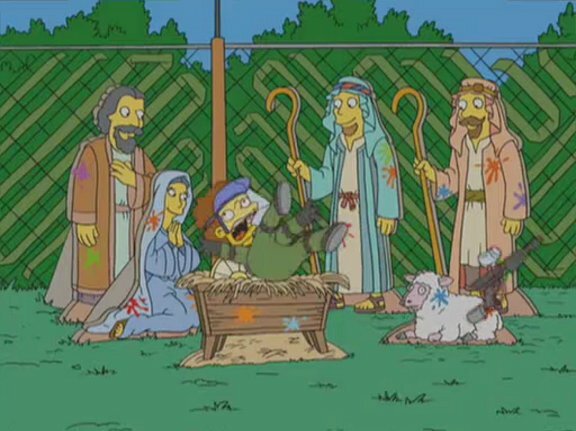 ... Is of course powerful enough to throw Todd backward several feet where he lands behind the manger. 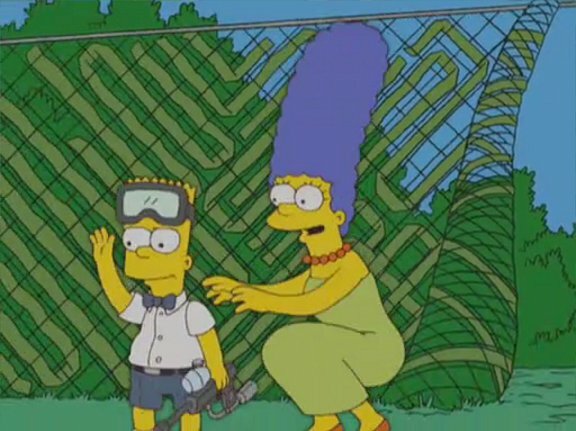 Marge (voiced by Julie Kavner) is happy to see Bart has... renewed his enthusiasm for violence? 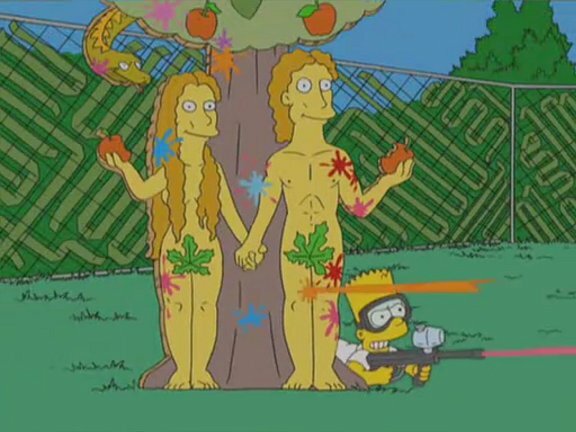 stop the pair from taking Bart. 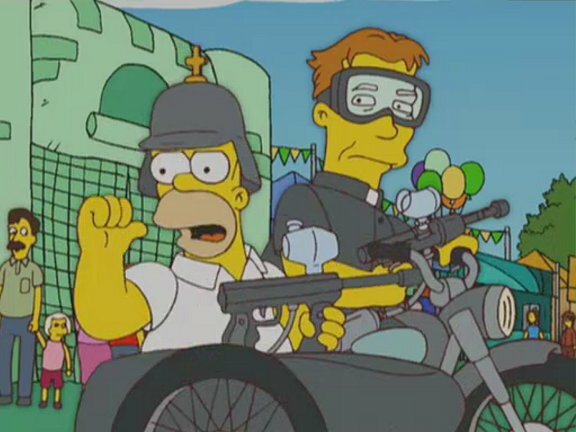 Where they got the paintball guns is similarly unexplained. 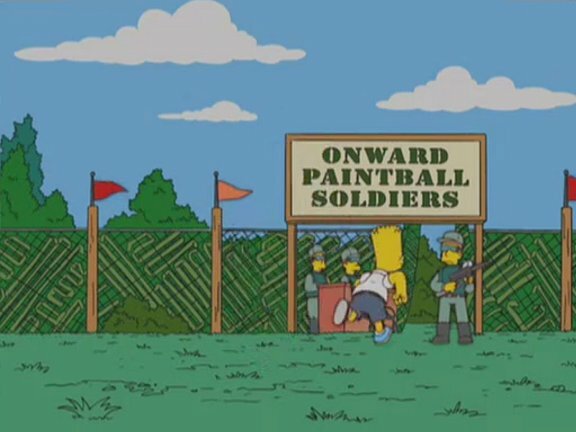 pumping them like shotguns, complete with the usual Simpsons metallic "ker chink!" sound effect. 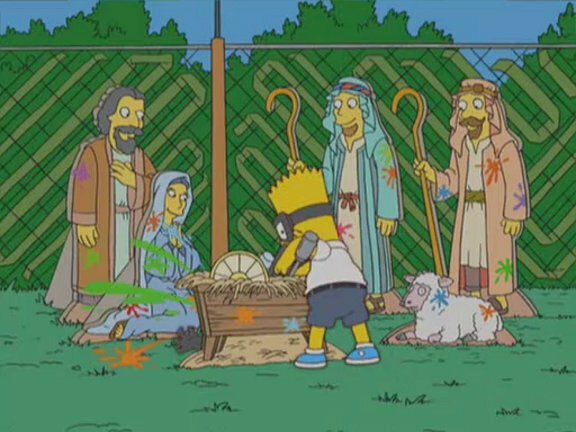 Bart, however, manages to calm them down a moment later.